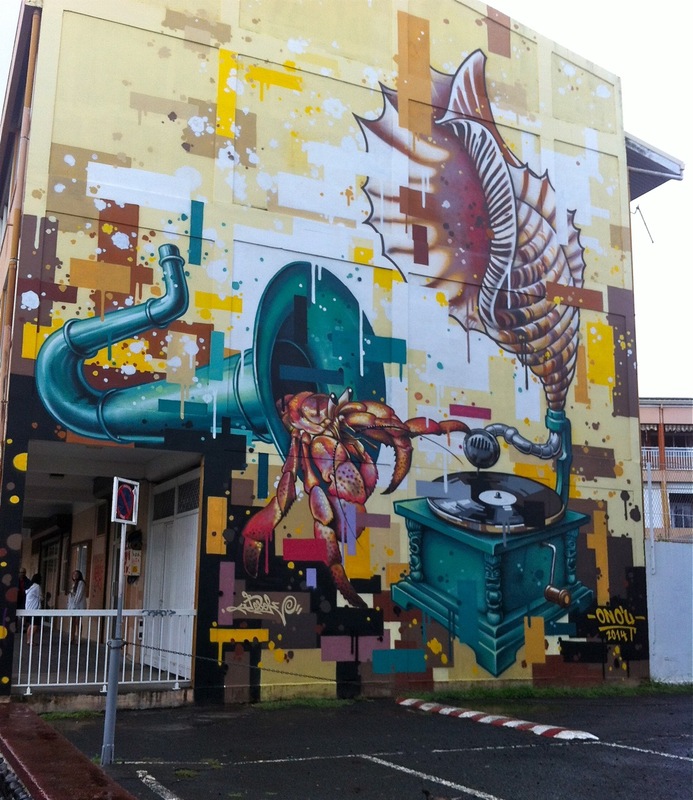 As our days in downtown Papeete grow numbered, I’ve been determined to soak up the streets. Like yesterday – I spent the entire afternoon walking around its many parks and shops. Roaming with no purpose other than setting my eyes on it all. I saw serene lily pad ponds, the local paper boasting the record-breaking stone lift, a large palace, pricey surf shops, even pricier souvenir shops, stunning street art, the bustling market, and the largest McDonalds play area I’ve ever seen. 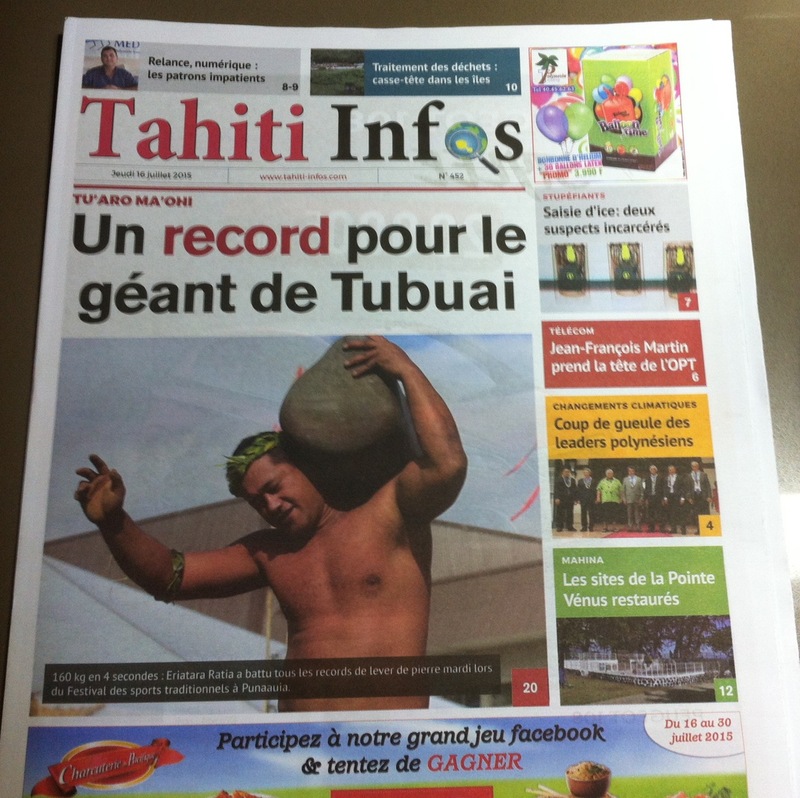 Who knew it existed in Tahiti? Don’t be mistaken, it wasn’t all window shopping. I did buy something. To fuel my wander I happily purchased a bag of candy from the bulk candy store. I even managed to restrain myself long enough to return home with some leftover for Gregory. While strolling the streets is important to me, Marie is of the utmost importance to Gregory. I realize as I write this I’m going to sound like a lazy, loafing lolligagger, while Gregory is going to come across as his true hardworking self. To this I say – I’m not allowed to touch Greg’s dinghy. Which is pretty much true. Working on Marie is pure labour of love for Gregory. Every minute put into her is enjoyed tenfold on the other side. Therefore as he cleaned, sanded, epoxied, and painted Marie’s bottom I felt little guilt over the adoration put in. And the final result? Kudos to Gregory, Marie is looking damn fine. The market downtown. 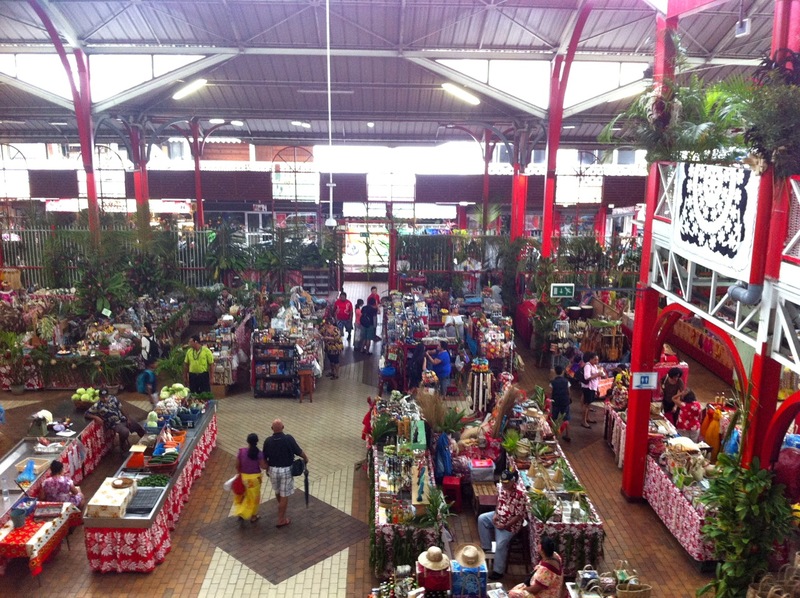 Everything from fresh produce, meats, hadicrafts, and baking! The record stone lift made the front page of the paper! And this one is Gregory’s favourite street art in town. Putting the finishing touches on Marie.